Because I know we all have time constraints here’s quick summary of their differences. CeraVe PM: excellent for hyperpigmentation and all skin types, particularly dehydrated skin in need of barrier recover. Has anti-aging benefits and brightens skin tone. Good for psoriasis, acne, seborrheic dermatitis, eczema, pityrosporum folliculitis (“fungal acne”), and rosacea. CeraVe Baby: good for sensitive, oily, and acne-prone skin. Excellent for barrier recovery. Has a gorgeous matte finish. CeraVe Cream: good for dry skin and barrier recovery. The most moisturizing of the four. Good for eczema, acne, seborrheic dermatitis, psoriasis, rosacea, and pityrosporum folliculitis (“fungal acne”). 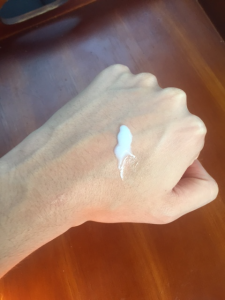 CeraVe Lotion: lighter version of CeraVe cream. Good for reactive, normal, or combination skin and those looking for something a little more basic. 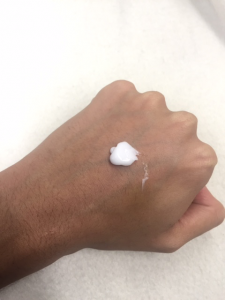 It’s watery lotion feel makes it the easiest of the four to spread across skin. In my personal opinion, I think the best one is this group is CeraVe PM. However, because everyone’s skin is unique and different, I think it’s a little dishonest to just say one is better than the other. So with that said, I will be focusing on which one is optimal for YOUR specific skin type, by giving a list of scenarios when each moisturizer would be best suited. Not all of us are trying to target the same skin problem. Some of us might have oily acne prone skin, other’s might have dry skin that never breaks out. There’s sensitive skin, aging skin, dehydrated skin, sun-damaged skin, not to mention hundreds of different skin conditions like seborrheic dermatitis, rosacea, eczema etc. — you get the point. But before I do that, let’s quickly discuss what each has in common before distinguishing their differences. 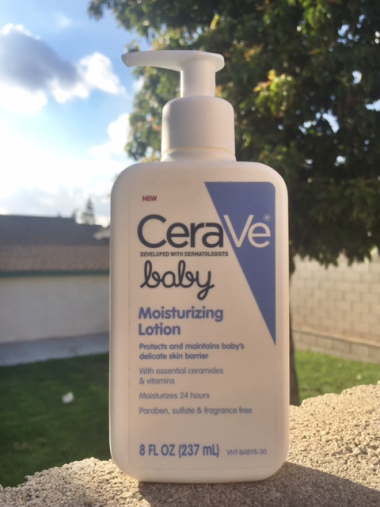 As an aside, if you’d like to read the full review of any moisturizer specifically, feel free to click the following links: CeraVe PM, CeraVe Cream, CeraVe Lotion, CeraVe Baby. 1 What do all these CeraVe moisturizers have in common? What do all these CeraVe moisturizers have in common? Approximately 50% of the skin’s surface is made up of ceramides. (1, 2, 3) These lovely little critters play a crucial role in maintaining a healthy moisture barrier, which is important for many things including fighting off pathogens and preventing skin diseases like acne, eczema, seborrheic dermatitis etc. If you’d like more info about the skin’s barrier function and how it works. Read my post about pH and the acid mantle. Alrighty, that we’ve quickly summarized their similarities. Let’s discuss their differences. With that said, CeraVe PM would be ideal for somebody that wants anti-aging benefits or is dealing with hyperpigmentation issues or skin discolorations. It has a gel-cream consistency and spreads easily across the skin, leaving no oily residue. Like all CeraVe products, it’s an excellent option for those that need help repairing a damaged moisture barrier. It’s also good for acne, seborrheic dermatitis, atopic dermatitis (eczema), psoriasis, pityrosporum folliculitis, and rosacea. With the exception of acne, all the skin conditions listed above are potentially aggravated by a commonsensical yeast known as malassezia that feeds on fatty acids with carbon chain lengths 11 through 24. 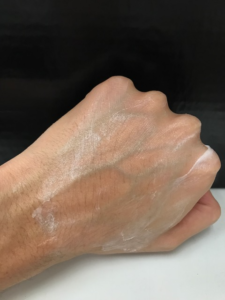 The ingredients inside CeraVe PM are all outside this problematic (11-24), meaning it won’t feed malassezia and potentially make these skin conditions worse. 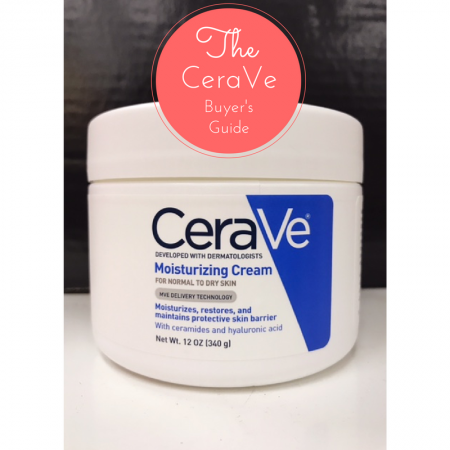 If you’d like more information about malassezia, I go into detail about it in my CeraVe PM, CeraVe Cream, and CeraVe Lotion reviews. Good for sensitive skin, but would also work for normal, combination, and oily skin types as well. This is a pretty light lotion and perfect for people who don’t like the tacky or sticky feelings of moisturizers. It has a very cosmetically elegant finish (one of the best I’ve ever tried). It dries completely matte and isn’t noticeable on the skin whatsoever, but provides hydration and aids in barrier recover. 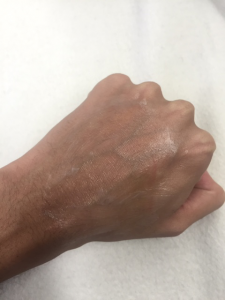 The addition of lauric acid might aggravate malassezia conditions, so proceed with caution if you’re suffering from seborrheic dermatitis, atopic dermatitis (eczema), psoriasis, rosacea, or pityrosporum folliculitis (fungal acne). The best thing to do is simply patch test it first. Good for dry or normal skin. 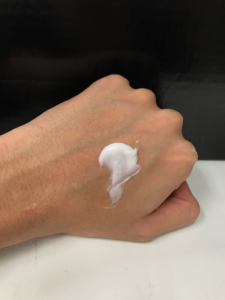 This is the most moisturizing of the 4 because of the addition of petrolatum; a non-comedogenic occlusive, capable of preventing 98% of transepidermal water loss (TEWL). That’s just fancy science talk for saying it will immensely help your skin retain its juicy water content, which helps it from drying out. As you can see it’s definitely a little heavier than the other moisturizers. So if you don’t like the feeling of rich creams, then this might not be a good choice. However, if this doesn’t bother you and you need the extra hydration this is a perfect fit. Like CeraVe PM, it is suitable for those suffering from seborrheic dermatitis, atopic dermatitis (eczema), psoriasis, pityrosporum folliculitis, rosacea, and acne. A lighter version of CeraVe Cream that’s good for combination, normal, oily, or reactive skin. I personally like to use this one as my daytime moisturizer. It’s ideal for those in need of something more basic, but effective enough to repair the moisture barrier. If you’re generally sensitive to moisturizers, or find that many of them simply don’t work this is a good option. As always though, make sure to patch test it first! Also good for eczema, acne, seborrheic dermatitis, psoriasis, pityrosporum folliculitis, and rosacea. Welp, that does it for this buyer’s guide! If you’d like more information on any one of these specifically, feel free to click on the following links: CeraVe PM, CeraVe Baby, CeraVe Cream, CeraVe Lotion. Hi! Thank you for writing up this helpful guide. I have a tub of the cerave moisturizing cream that I used on my face for awhile and put to the side. After reading your post I was excited to get back using it again but unfortunately it really burned when I applied it! I have been using prescription strength adapalene. When I did a google search for this people suggested that when you’re using a retinoid, cerave may not be “gentle” enough, but this seems totally counter to the make-up and intent of cerave products! Do you have any idea what may be causing this burning and why? Do you think if I tried the PM this would change? Thank you! Any input on the Cerave skin renewing night cream? Somehow I find this thicker yet more mattifying than the Moisture cream for daytime use. I wonder if there would be any reasons not to use it in the daytime, with a suitable SPF of course. We have the CeraVe PM (normal to oily) in Canada, is it the same formula as the CeraVe PM (normal to dry)? Hi! 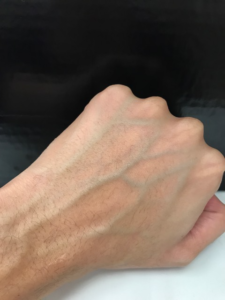 Could you please healp me determine if I have a sebborheic dermatitis? According to my cosmetician I have a combination of seborrhoea oleosa and seborrhoea sicca. Is seborrhoea sicca the same as sebborheic dermatitis? I’m 23 years old, I have a lot of bleakheads and also whiteheads, large pores. My nose, cheeks and chin is mostly dehydrated, but the rest of my face, mainly my forehead is really oily. Nowadays I have pimples only from time to time. 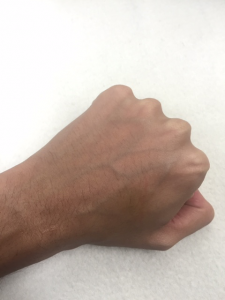 No red patches, no itching. I reacted badly to cosrx galactomyces essence, it caused me a lot of pimples. So what do your opinion? Your skin problems were diagnosed by a dermatologist or by yourself? 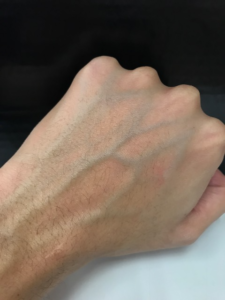 Should I visit a doctor? First of all, amazing website/blog, basically now my go to for skin care information. So I suffer from seb derm and rosacea which has been getting worse recently, the seb derm around my t zone and roscaea on my nose. I have been using ‘cetaphil moisturiser high tolerance’ but they changed the branding and i guess the ingredients so now it irritates my skin. 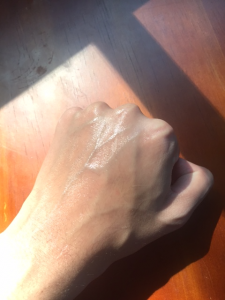 I tried the restoraderm but it leaves my skin really greasy which is no good. 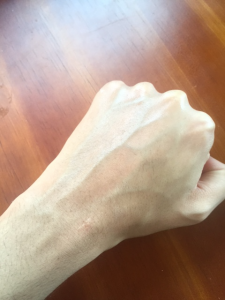 In any case, im going to switch to cerave now as cetaphil is basically not working very well anymore, im going to pick up a couple of the products and give them a whirl but had a question if you had any idea if the cerave anti itch cream is any good or if it would feed the malassezia yeast or if the normal cerave creams should suffice? I’m not sure which ingredients to be looking out for so was wondering if you might have an idea? The seb derm sort of flares up but is super itchy and the rosacea if just a bit red and inflamed all the time. In any case i dont mean to burden you with my skincare problems but if you have any idea that would be great! I have an acne prone skin.can you please recommend me the moisturizer for my oily skin. 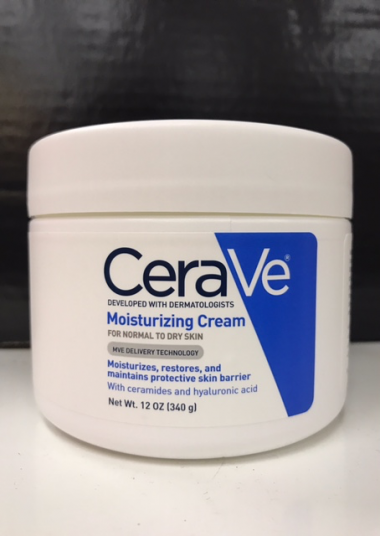 So there are no DHT inhibitors in the CeraVe Moisturizing Cream? Just discovered your site today, and I LOVE it! I used to work at Sephora, and fed into the idea that only expensive high end skincare could help me. I have the very occasional breakout (I know, I’m so thankful for this) but ever since I’ve started law school, my chin has been struggling like crazy. I’m really excited to try the cera ve facial cleanser and the moisturizing cream together to see if it helps, because all the fancy stuff i’ve tried definitely did not. Thanks so much for your breakdown and great review! I really appreciate your attention to detail, and tone in writing as well. (I was an english major-a dork at heart.) Keep it up. Hello, thank you so much for this! I have severe rosacea and have been using Cerave off and on for a few years. My condition worsens with age so I have started using it as a regular routine . In two weeks my face has dramatically changed. The Redness has calmed, the bumps are almost gone and my face went from having huge dry patches and kind of scaly patches to smooth and soft. 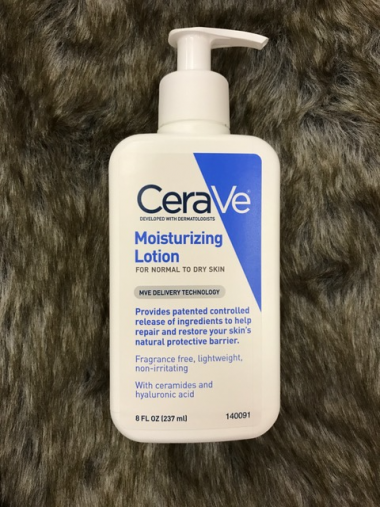 I use the Cerave hydrating facial cleanser morning and night, I rotate between the cerave baby and the daily moisturizer for dry skin in the AM and the PM facial moisturizing lotion at night. I have been looking at not using the baby one at all, but think that I may stick with it. Thanks for this, it was really helpful! I’m still wondering if the CeraVe Lotion can be used all over your body or is it just for the face? I figure if it was just for face it would say so. Cerave has finally made it’s way over to europe (well has been here for a few months now) and I’ve been wondering if the european formulas are safe to use in regards to pityrosporum folliculitis/malassezia. Man, I just want to carry you around in my pocket. You’ve really saved me a lot of money and helped me find confidence when visiting the pharmacy to drop cash on skincare products. I don’t have acne prone skin, but my skin does need TLC. 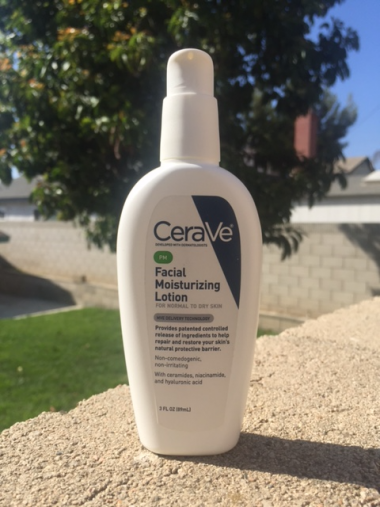 Cerave is my favorite line, and to save some money when my PM lotion was running out I used the tub moisturizer. As that same time, I started to slack a bit on skincare. If I didn’t wear makeup that day, I wouldn’t wash at night sometimes. About a month and a half after swapping the PM lotion for the tub moisturizer, I started to notice clogged pores and blemishes. I got a cystic pimple, too! I wash shocked because the ingredients dont’ really differ. Do you think the petroleum could factor into this, or am I missing something? Maybe I should keep trying? My routine goes: cerave green facewash, neutrogena pore minimizing toner, then moisturizer. I’ve used ponds, olay, and garnier overnight cream without a problem. I’m kinda wracking my brain to find out if it’s really this cream the rest of my body seems to love!